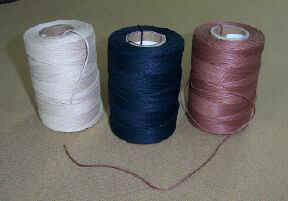 3 colors of lacing thread for rug braiding. This type of cotton lacing thread is very heavy duty and is perfect for lacing the braids of your rug together. * Please call for pricing. All sales are final.